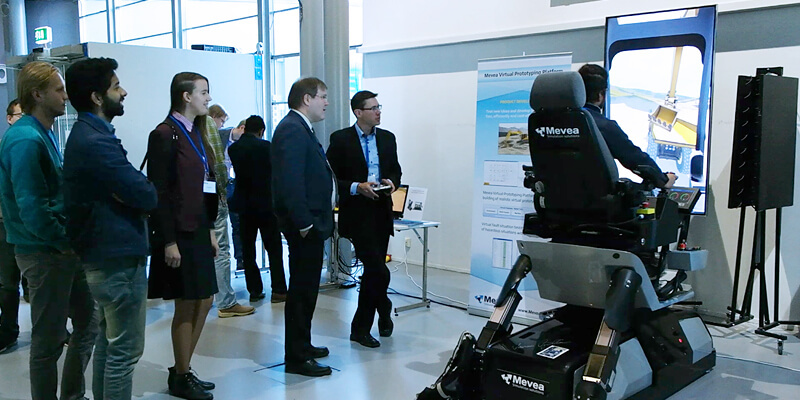 More than 150 people from 7 countries representing over 80 companies were participating the annual Mevea Seminar which was organized on October 5th at the Finnish Science Centre Heureka in Vantaa / Finland. 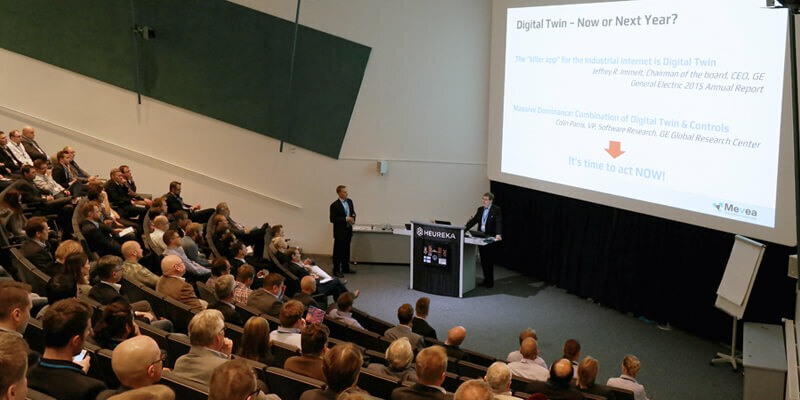 In the seminar opening presentation Mevea launched the concept of Digital Twin – a physics-based, virtual representation of physical asset able to simulate in real-time its behaviour and use during the whole product lifecycle. Concept was well received and according to the participant survey, 60% of the people responded, expect it to take place during the next 3 years. Following the seminar opening Professor Aki Mikkola presented the use scope of real-time simulation and then customer presentations from Kesla, Mantsinen and Liebherr highlighted the use of simulators during the various stages of product lifecycle. Exciting future technologies and visions were presented by Microsoft and Kalmar. At the seminar exhibition the participants could experience some of the latest Mevea solutions and technologies. A quick snapshot of the seminar you can see from the video below.